The European Space Agency (ESA) has awarded Thales Alenia Space Italia (TAS-Italia) two contracts for development of Galileo ground station receiver equipment. 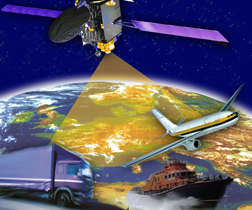 One contract is for Galileo In-Orbit Validation Element (GIOVE) phase A/B ground station receivers capable of tracking the multiplex binary offset carrier (MBOC) signal that is common to both the Galileo Open Service (OS) and the new GPS L1 civil signal, which will be transmitted beginning with the GPS III generation of satellites. Christine Edwards and Peter Hall of Sci-Tech Systems, Ltd.
A UK start-up company, Sci-Tech Systems Ltd., gathered three prizes in the 2008 European Satellite Navigation Competition — including the overall Galileo Master Award — with a tracking system designed to help rescue persons who have fallen overboard from ships at sea. 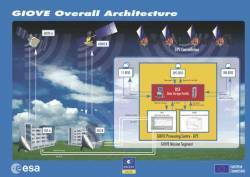 The European Space Agency (ESA) has awarded a contract to IfEN GmbH to develop a “New Generation” receiver breadboard for use at the European Geostationary Navigation Overlay Service (EGNOS) Ranging and Integrity Monitoring Stations (RIMS). The RIMS New Generation breadboard will be capable of receiving the new L2C and L5 signals, the Galileo E1, E5ab, and E6 signals and the GLONASS L1 signal in addition to GPS L1 and L2P signals.